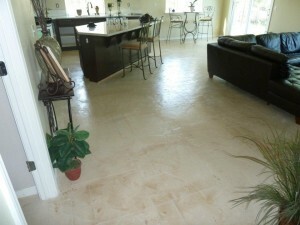 Sierra Concrete Resurfacing offers Sacramento and Bay Area residents custom concrete and concrete restoration services. We can provide you with sophisticated designs that incorporate color, texture and engraving techniques to create stunning interior and exterior environments. We provide commercial services, as well, and can work on scale, from the coziest basement to the largest mall courtyards to the most expansive public spaces. We can help you reinvent your living space with the latest technology and techniques or just restore your basic concrete driveway to a pleasant and smooth surface. We can also provide you with non-slip options for poolside use and make sure that your surface is as easy to maintain as possible. Some specialized concrete surface options can even stand up to hot sun without getting as hot as plain concrete would. For outdoor areas and pools, this means a safer, more pleasant surface for you and your family. We also utilize green technology whenever possible. The decorative concrete work we do and our staining, interior flooring and concrete stamping work are done with green building products. Concrete work might be timeless, but that doesn’t mean it has to be done with outdated technology. If you need any type of custom concrete work, talk to any of our associates and we will be glad to let you know how we can help you. We use sophisticated tools and techniques—involving using templates, texture coats, stain, sand and sealants—to ensure that our results are always up to the highest standards of quality and durability. Interior or exterior, we can provide you with a surface that will suit your aesthetics perfectly, that will enhance your comfort and safety and that will last you for many years into the future.